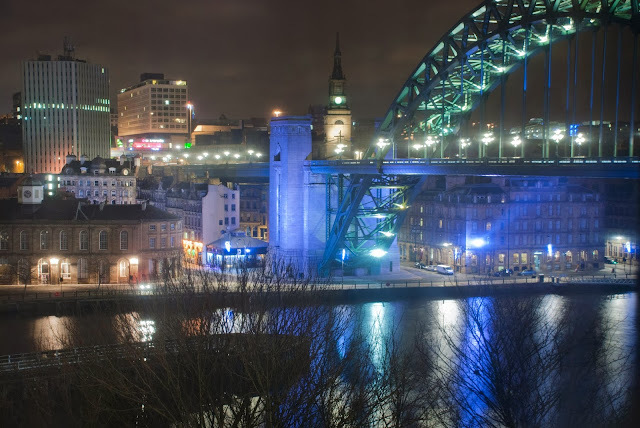 Newcastle's bridges, Quayside and skyline. 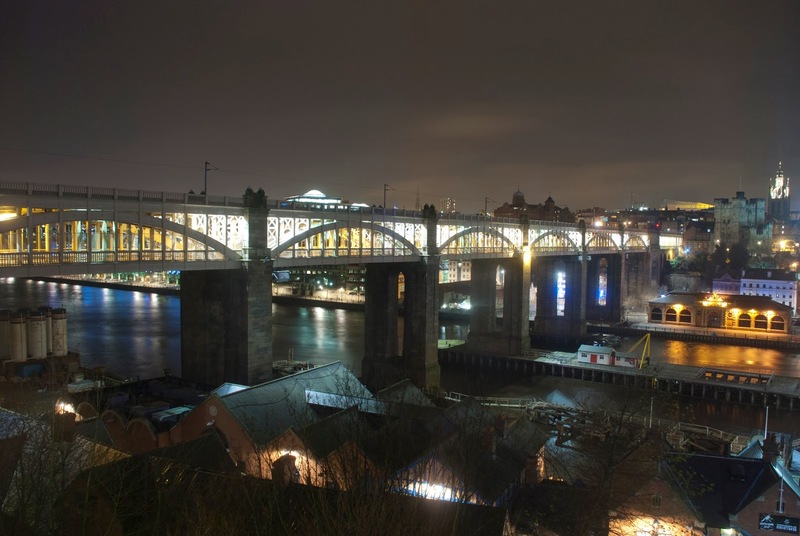 The Tyne Bridge, Quayside, The Guidhall, Cale Cross House, Swan House and All Saints Church. The High Level Bridge with St. James Park, the Castle Keep and St. Nicholas Cathedral.